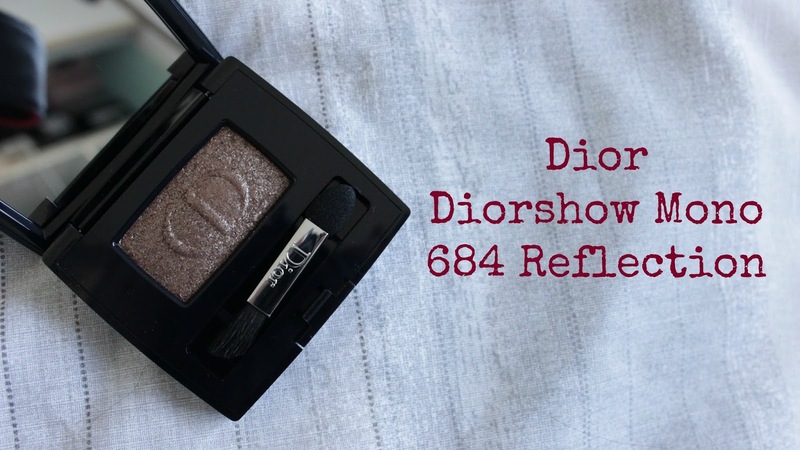 I'm always banging on about how Dior is a beauty brand I don't think gets half the coverage it deserves in the beauty blogging world. With Thursday being the launch of their new matte lipsticks (yes, I've had that date marked out on my calendar for months) I figured it was time I'd better get telling you my thoughts on the bits and pieces I've picked up from their Autumn 2016 Skyline collection - starting with two of the stand out products, their new Diorshow Mono Lustrous Smoky eyeshadows. I picked up two colours from the collection though I want to start by giving a shout out to the shades Fire & Gravity - which you can see swatched here. I thought when I swatched them that they were too close to other shades I owned to justify buying them but now that I've played with the other two and seen how impressive the formula is, I may end up going back to purchase these two as well. I suppose in saying that I've probably already told you my feelings on these - I think these individual shadows are really quite special. The formula of these is almost a bit wet feeling to the touch - though admittedly that was't something I picked up from the testers in store so perhaps with extended use they'll dry out slightly to a more traditional texture but it's not something I find problematic. There's something thick and almost a bit mousse like about these, the formula in the pan feeling as though it should be almost spongey, like you should be able to push into it and it would spring back out. I presume it's something to do with this thick and slightly wet formula that makes these eyeshadows so adhesive because the wear time on these really is incredibly impressive. I have hooded eyes and due to the shape of them shadows are prone to creasing on me - but these didn't. At the end of the day they were still totally in place. It's this formula that I'm so completely impressed with that makes me want to go back and purchase more colours. 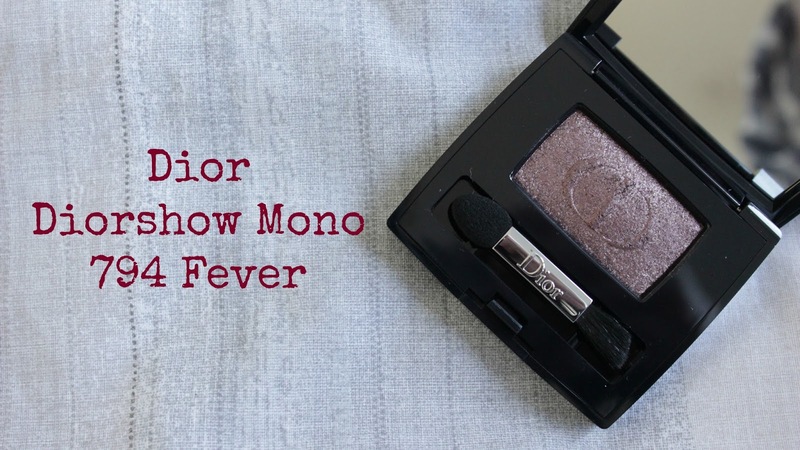 I know Dior have vamped up their shade range in their traditional Diorshow Mono Eyeshadows so I'm going to need to investigate whether this formula is only for the Diorshow Mono Lustrous Smoky shadows from this collection or whether the traditional monos have also been reformulated in this way, however my instinct is that even if some of them are then they won't all be because I think part of the wet feeling comes from the sheer amount of shimmer that is packed into these shades, and there are some of the shades from the traditional line that are matte. If you're not a fan of shimmer shades then, as I'm sure you can see from the photos above, you might as well step away now because these shades are shimmery on a whole other level. It was almost impossible to get good photos of these swatches because of the way the shimmer dances in the light. Formula aside the two specific colours I went for are shades 794 Fever (the more purple toned shade) and 684 Reflection (the golden brown). I want to start off by saying how build able these are, you can get a really sheer wash of these but the pigment builds fast - two layers of this makes these shadows completely different to one - so you almost get multiple shadows out of each shade. You can see an example of that in the swatch of the Reflection shade vs it on the eyes. I have this shade all over my lid and on my lower lash line and you can see how much darker and more pigmented it is there vs on the swatch. 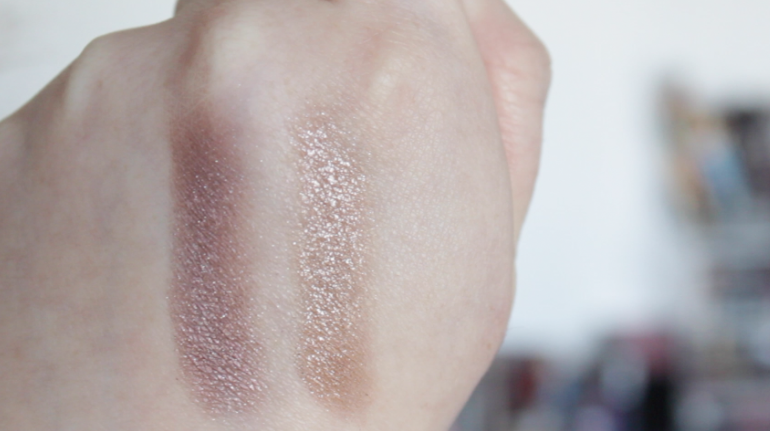 Going the other way I used the shade Fever through my crease to blend out with and it's applied a lot lighter than in the swatch, so you can see how versatile these are. Overall these shadows are beautiful - I'm always more seduced by palettes, but in this instance it's these monos that are the home run of this collection.